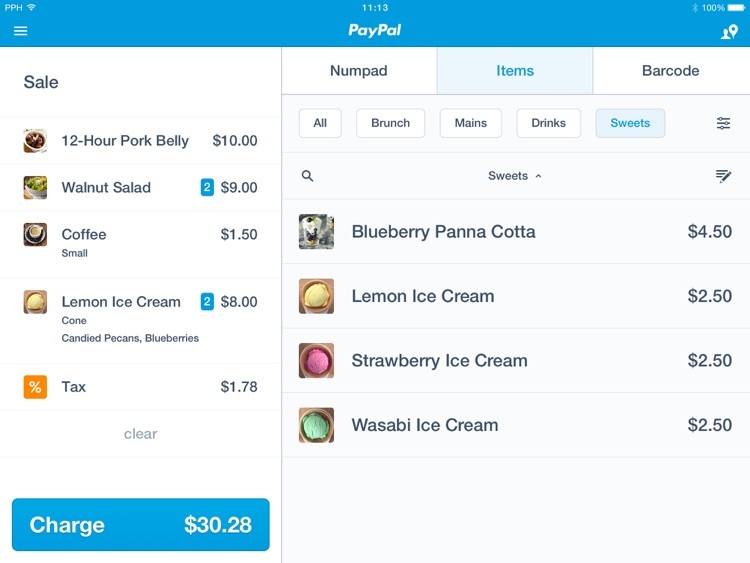 PayPal Here : Point of Sale by PayPal, Inc.
PayPal Here is very similar to Square Register, except that funds are usually available right away in your PayPal account. 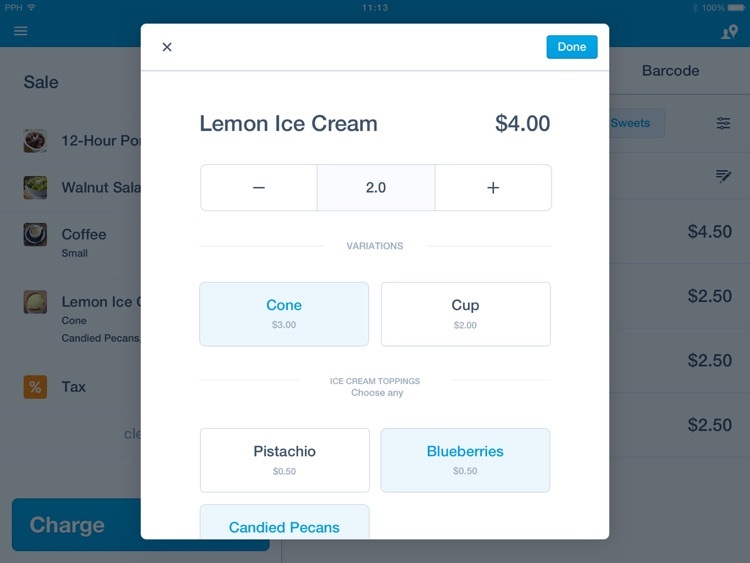 Also, customers have more options to pay you - credit/debit card, checking account, or directly from their PayPal balance. 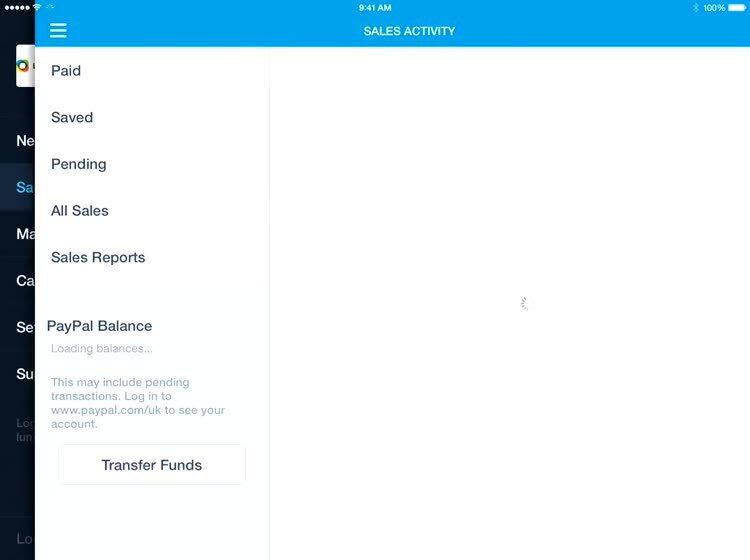 If you have a PayPal debit card, you're able to access funds much faster, in most cases, than with Square Register. All card swipes and PayPal transactions have a 2.7 percent rate with no hidden fees or commitments. 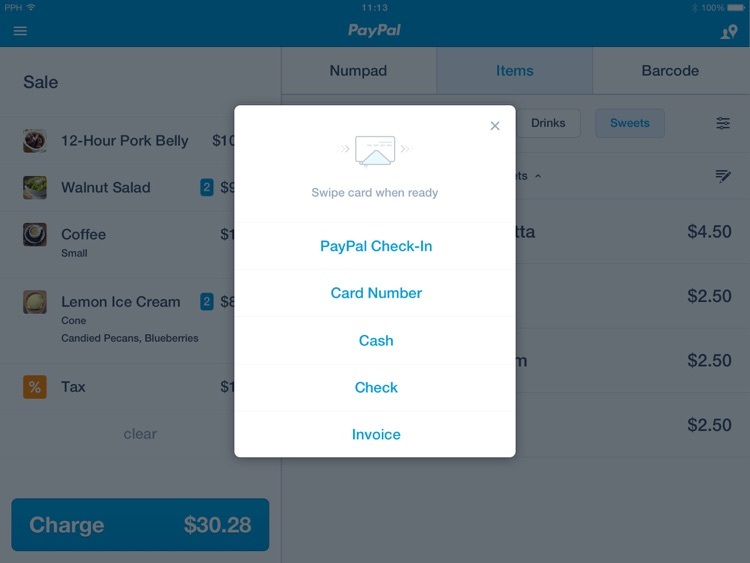 PayPal is a terrific way to get paid online, but what about in person? 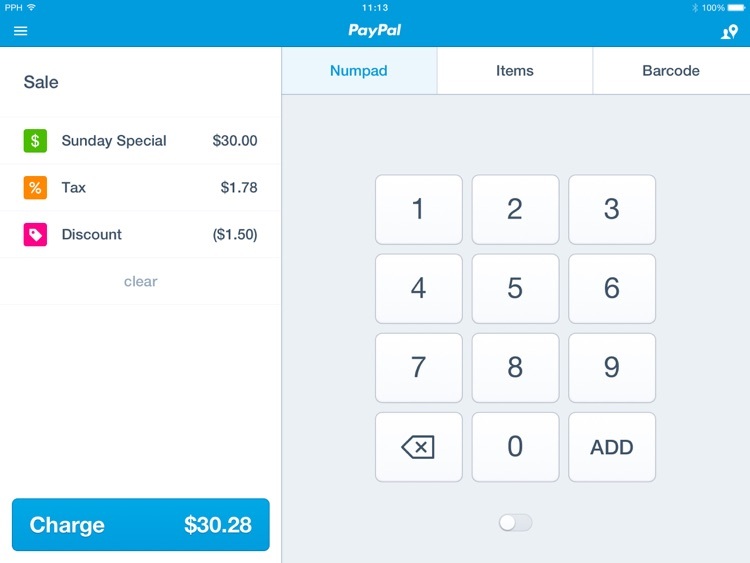 With PayPal here, you can do that, transforming your iPad into a great point-of-sale system. 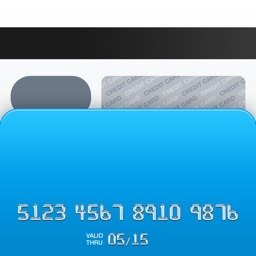 The app is free, and so is the magstripe card reader. If you want to accept chip cards with full security and fraud protection, a small up-front fee gets you a Bluetooth reader that works perfectly for your business. 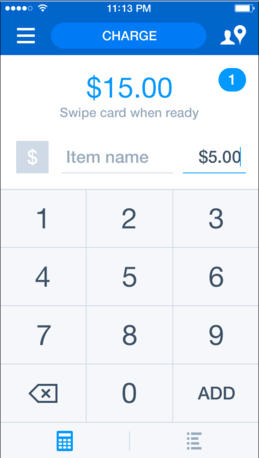 Accept payments, manage your online and mobile transactions, and get help straight from the app. You get your money fast, especially if you have the PayPal Debit card. 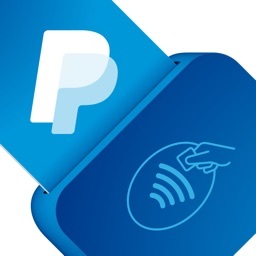 PayPal is a great option for collecting credit card and other payments. 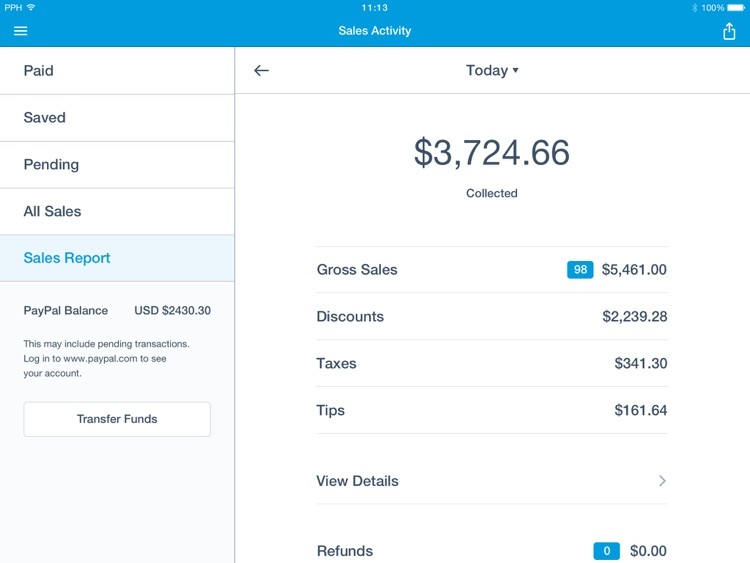 The PayPal Debit Card makes it easy to use your funds right away, and offers what might be the only cash back incentive program for small businesses that don't use a major credit card. 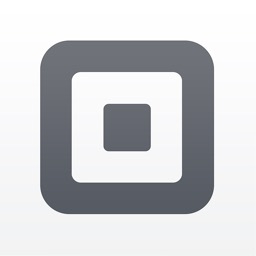 Get paid on your iPhone®, iPod® or iPad® with our free app and a card reader that’s right for your business. 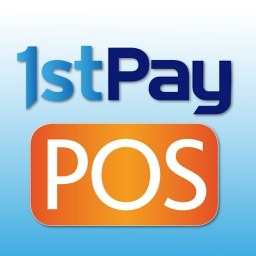 Accept credit and debit cards, send invoices, track cash and check payments. It’s only 2.7% per US card swipe, chip or contactless transaction. No long-term contracts, commitments or monthly fees. 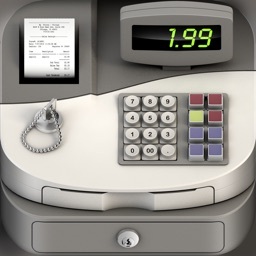 • More options, more business: gives your customers the flexibility to pay how they want. • All in one: PayPal Here™ is part of our trusted suite of business payment solutions, helping you manage all your in-person, online and mobile payments through one central account. • Invest in the PayPal Chip Card Reader to accept chip cards, contactless (like Apple Pay™), traditional swipe payments – all in one device. The updated app also features a new dynamic search tool. 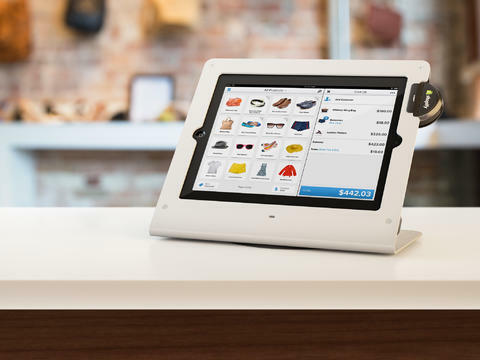 The popular e-commerce platform Shopify has just launched its very own point-of-sale system.